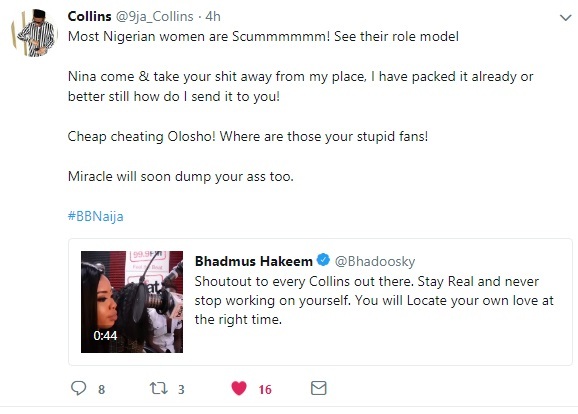 Collins, former BB Naija housemate Nina's ex-boyfriend has gone to Twitter to release some emotional tweets concerning Nina's statements on their breakup. We are yet to verify if the account is owned by the real Collins, as it was started February 2018 and still unverified. Nevertheless, the tweets are worth seeing. 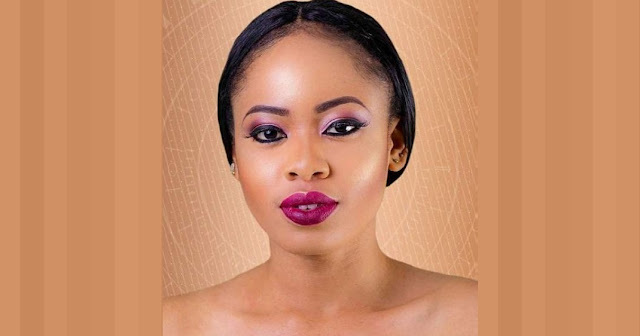 ...she's a cheap cheating 'olosho'! He also tweeted that he wanted to know when Nina was returning home to be sure Miracle was done using her. What do you think? Please drop your comments and share, we will keep you updated! Update This is not the real Collin's account, you can read more about it here!